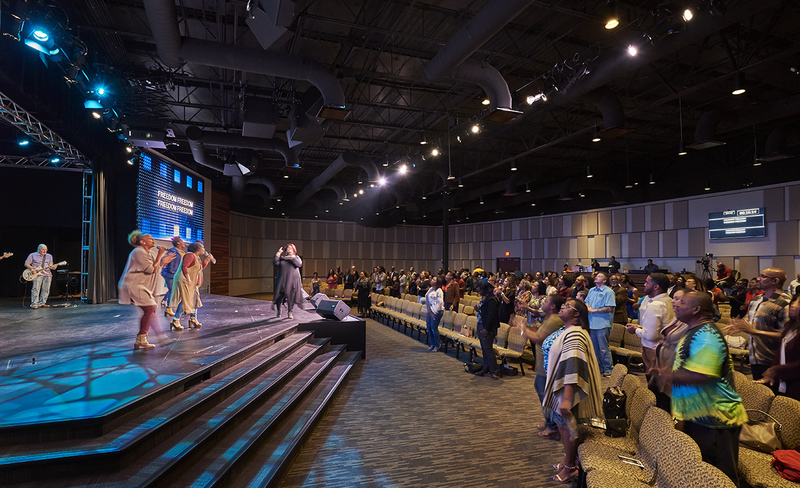 As a growing campus, ONE Community Church acquired their first satellite campus to their main location in Plano. They purchased a site with an existing church building and selected OMNIPLAN to renovate the 62,000 SF interior. 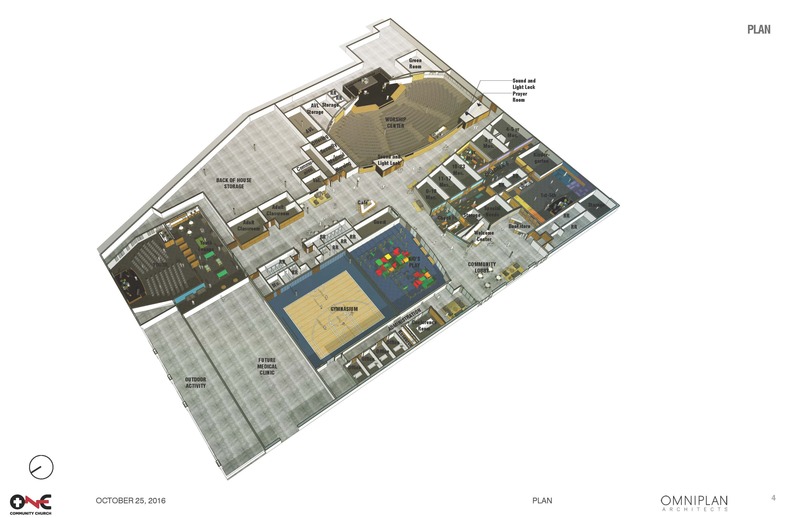 The areas surrounding the worship center were completely reprogrammed to better serve a wide range of age groups, including a kid’s area and basketball court for all ages. The campus’ aesthetics echo the Plano campus to create a consistent look and feel for the church’s visitors.